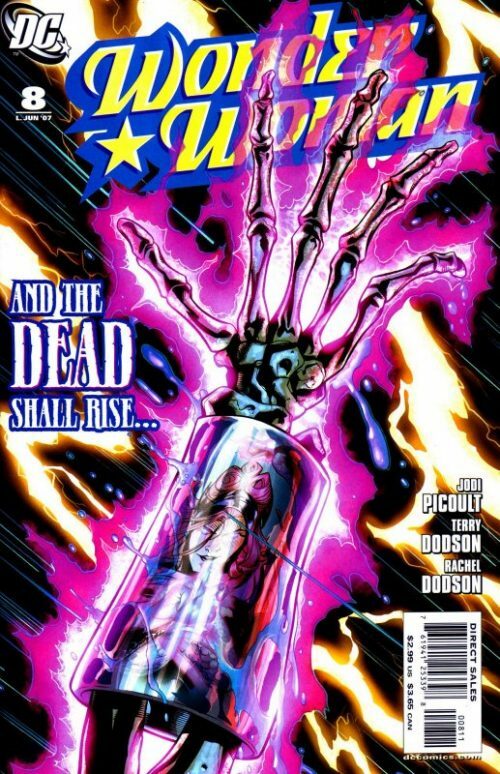 In order to try and get the book’s publishing schedule back on track and to “catch up” on some of the lost months, DC published two issues during the month of April (cover month of “May”). As previously stated, Heinberg was simply unable to meet his submission deadlines due to his more pressing script writing duties on the TV show “Grey’s Anatomy”. So, instead of the planned final instalment of his 5 part “Who is Wonder Woman?” story line, DC requested Will Pfeifer to provide a fill in story for issue five. That said, the story actually finishes on a cliff hanger ending and so suggested that the story would be picked up again sometime later after Jodi Picoult’s run. As a stand alone story however, it is well written and is a very female oriented issue even though written by a man, with little action. 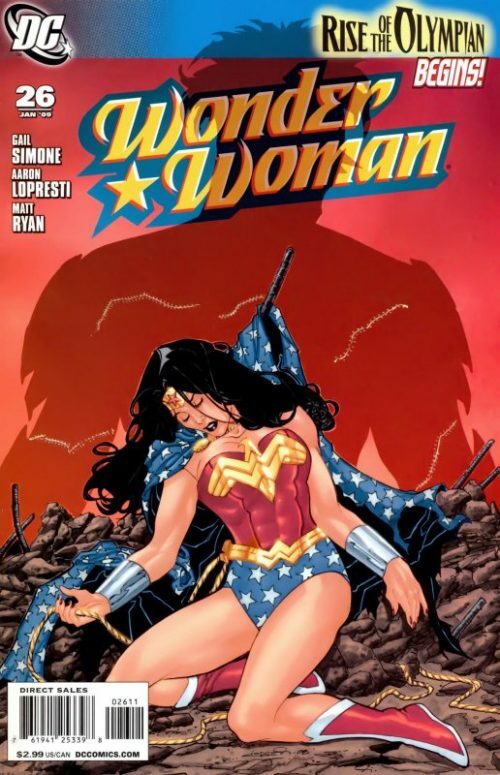 Although the subject of wife beating has been touched upon before in the pages of Wonder Woman, this issue nicely shows the inspirational role Diana has on women, even if from a distance. 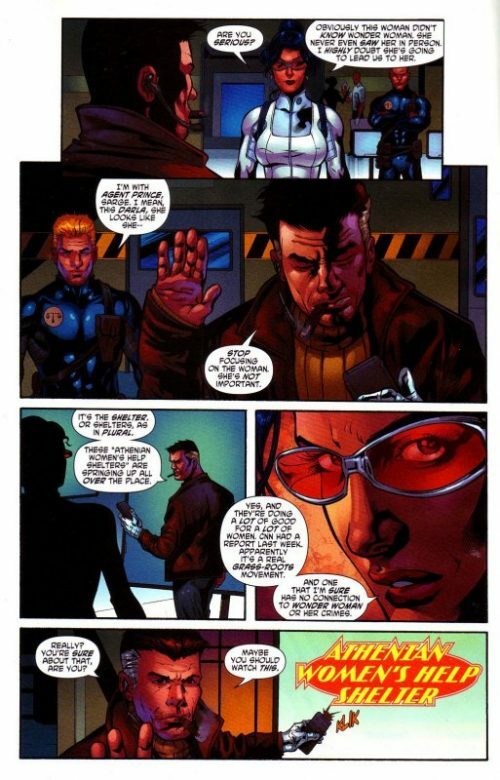 At the Headquarters of the Department of Meta Human Affairs, Sarge steel shows Diana Prince and Nemesis a TV recording of a battered wife being interviewed. The woman explains how she had been inspired to stand up for herself after seeing Wonder Woman’s heroics on TV. 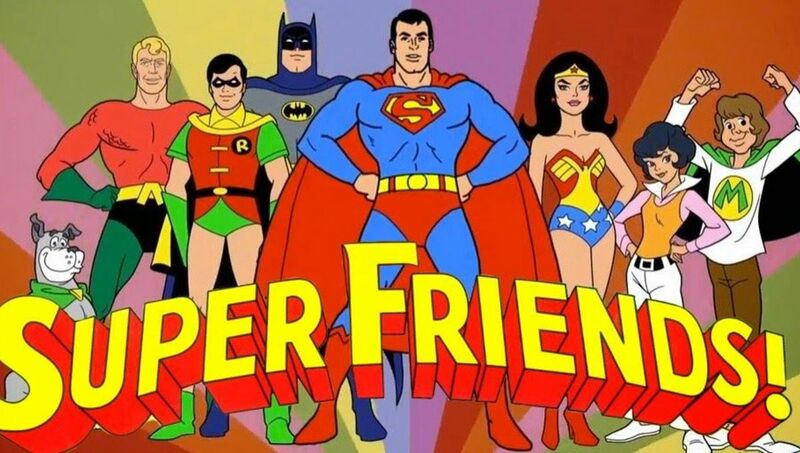 Although Steel realises that the woman herself has had no direct dealings with the fugitive Amazon Princess, he suspects that the women’s shelter set up to care for these battered women knows as the “Athenian Women’s Shelter” may be connected to Wonder Woman. He orders Diana to investigate and she arranges to meet with the director of the shelter, Allison Addison. Diana herself is curious about the Shelter and why they see something in her as a role model. 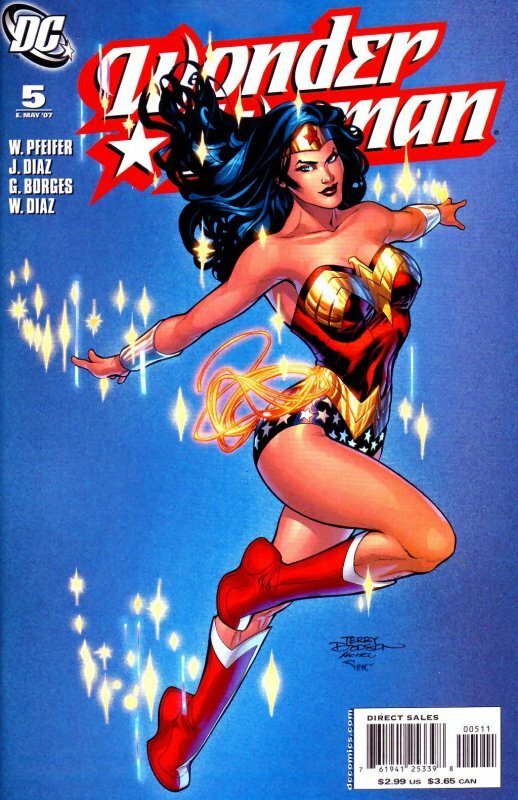 She is greeted by Allison and asks the director what the connection is with Wonder Woman, pointing to the badge she wears emblazoned with the =W= logo? Allison assures her that the Shelter has no affiliations whatsoever but she has a has a personal one. She goes on to tell Diana that she had had a string of abusive boyfriends and in desperation had turned to drink. One day she had stumbled out of a downtown bar and had seen Wonder Woman up in the sky, having rescued a young girl from a burning building. Inspired, that very moment Allison realised she had powers too and decided to change her life for the better. That afternoon she had gotten herself into a program and a couple of days later found herself a job. A week later she discovered the Shelter and after staying there a few days to decided become a volunteer. And now she is running the place! 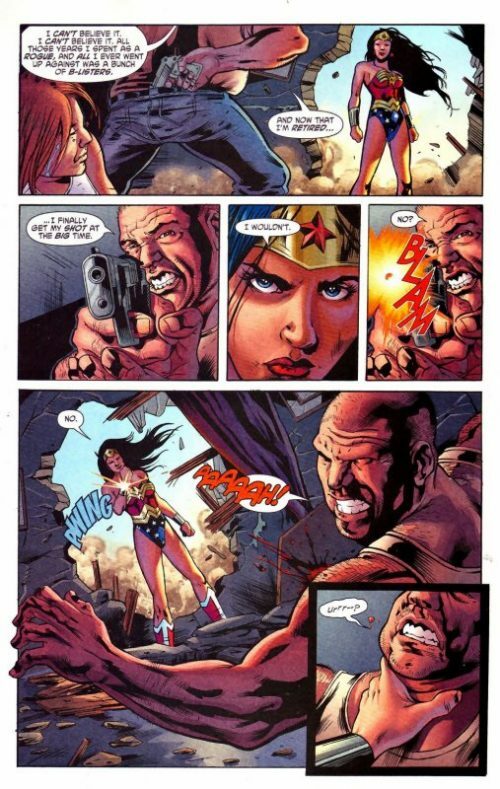 Allison tells the surprised Diana that many women need the sort of inspiration that Wonder Woman provides. Even if it is from a long distance and only for a split second. Just then they overhear one of the operators take a call from a terrified woman, who just manages to give out her address before the phone goes dead. As the Shelter puts in a call to the police, Diana makes her excuses and makes a swift exit. Back at the Shelter, Allison is sitting outside on the steps and is informed by her staff that the police have been in contact. They advised that the house was a mess and the husband was lying out on the lawn crying and begging to be arrested! The police are not sure but he appeared to be ranting and raving about “Wonder Woman”. At that moment they see the Amazon Princess float down from the sky carrying the woman in her arms. She tells them that the woman needs medical attention for her cuts and to take her inside. The Shelter staff are too stunned to move initially but finally react and rush the woman inside, all thanking Wonder Woman as they go, leaving the Amazon and Allison standing outside. 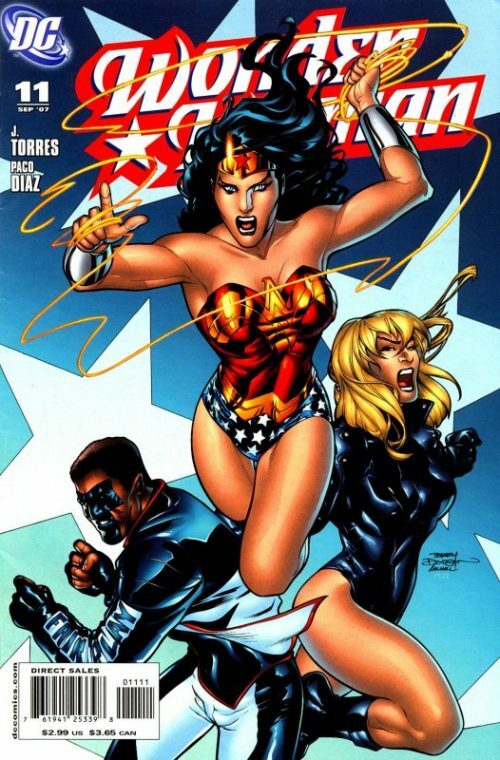 Diana asks why they are all thanking her and Allison replies that it is the Amazon’s legacy – her true power at work. All of those women have been saved by her in one way or another. 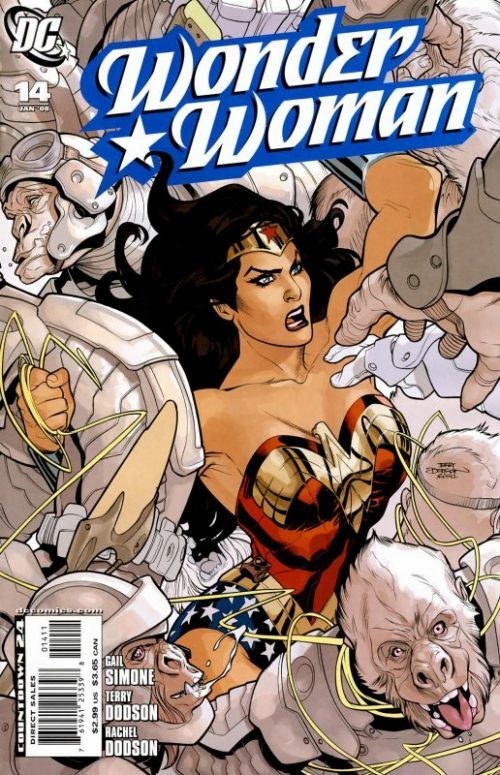 The following day back at the Department of Meta Human Affairs, Diana tells Sarge Steel that there is no connection between the “Athenian Women’s Shelter” and Wonder Woman. He holds up a newspaper with a front page photo depicting the Amazon flying across the sky accompanied by the headline “Wonder Woman in DC?”. He asks her to explain why the Amazon Princess had been seen at the Shelter yesterday and Diana replies that it was simply a coincidence. 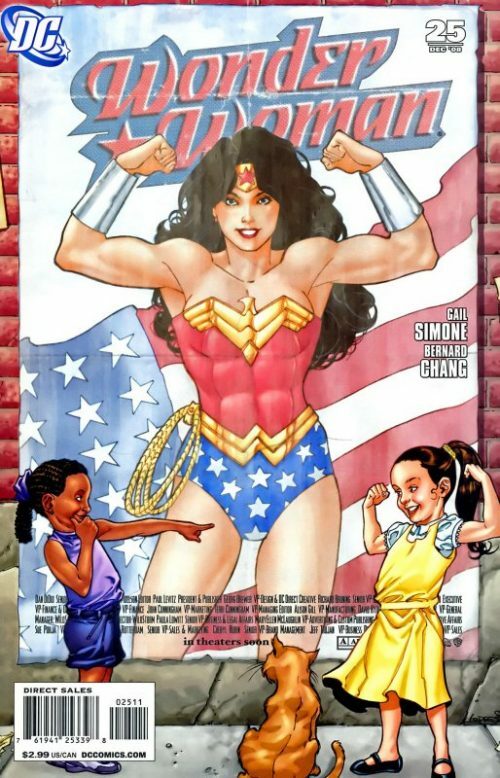 She adds that whatever else Wonder Woman does and whatever she may be guilty of, she gives these women a reason to go on…a reason to fight back…a reason to live. That is the connection. The only connection.